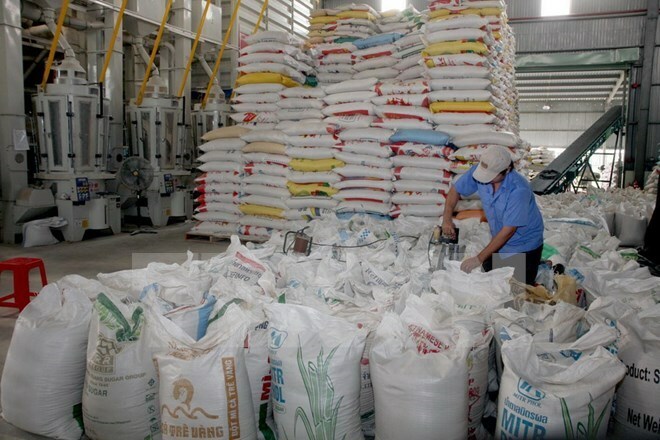 HCM City (VNA) - Rice exporters expected to ship 1.5 million tonnes of grain abroad in the second quarter of this year, 100,000 tonnes less than the previous quarter, said the Vietnam Food Association (VFA). As of May 18, rice exports reached over 2 million tonnes with 875 million USD in (free-on-board) FOB value and nearly 912 million USD in Cost, Insurance and Freight (CIF) value, up 15 percent in both volume and value from the same period last year. The increase was buoyed by the surge gained in the first quarter thanks to several pending purchase orders under government-to-government (G-to-G) contracts with Indonesia, the Philippines and China signed in 2015. In April, rice exports exceeded 453,000 tonnes, earning 212 million USD in FOB value, down 20.5 percent in volume and 7.5 percent in FOB value from the previous month. The figures also presented a drop of over 30 percent in volume and 21.33 percent in FOB value compared with the same period last year due to a lack of collective contracts. VFA forecast rice exports will increase in the second half, mostly in the three key export markets of the Philippines, Indonesia and China and at a higher price.